This recipe was inspired by newsletter subscriber Bonnie, who was seeking a lotion bar in a deodorant stick container for achy muscles and arthritic pain. 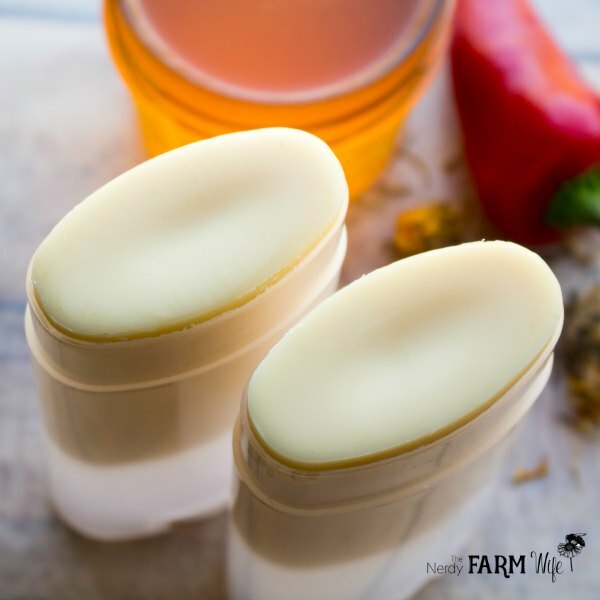 The lotion bar stick format is especially handy for products made with cayenne, since you want to be sure not to rub it in your eyes or mucous membranes, as it can burn. 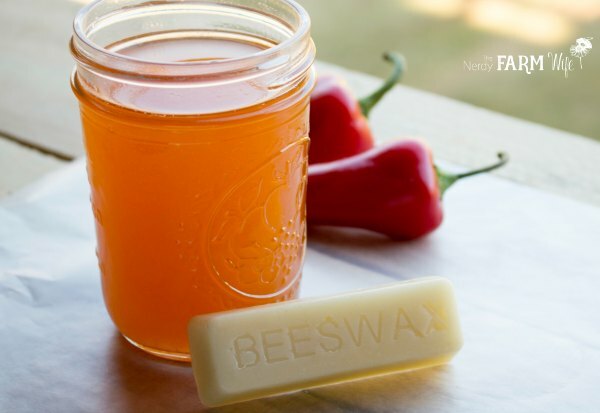 In a small heatproof 8 ounce glass container or jar (like these), add 2 tablespoons dried arnica flowers, 1 tablespoon cayenne powder and 1 tablespoon ginger powder. Fill the jar the rest of the way with oil. I like to use rice bran, sweet almond or sunflower oil, but feel free to use your own favorite oils for this project. Stir and add more oil if needed. After the oil is infused to your satisfaction, strain it through a very fine mesh sieve and/or cheesecloth, leaving the powdered sediment behind in the infusing jar (to avoid grittiness) then use in the following recipe. 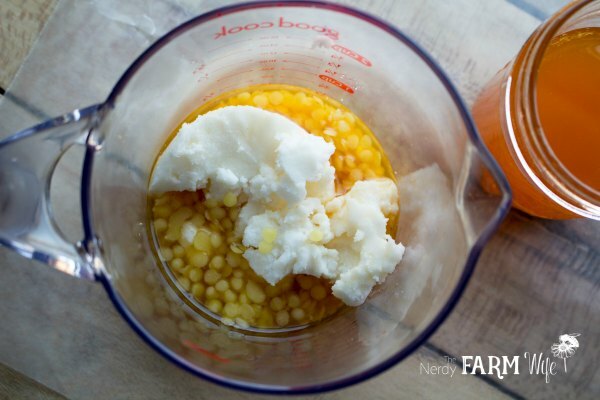 If you don’t own a scale, try using roughly 1/4 cup each of beeswax, oil and shea butter. If you don’t get quite the texture you’re looking for, melt the mixture again and add more wax for added firmness, or more oil for a softer consistency. Set the container down into a saucepan containing a few inches of water and heat over medium-low heat until melted. Remove from heat and allow to cool for a few minutes before pouring into empty deodorant containers. I purposely left this batch unscented since I’m giving one to a relative with asthma who is sensitive to scents, including many essential oils, but for my next batch I plan to add Tei Fu Oil, my favorite pain relief essential oil blend. 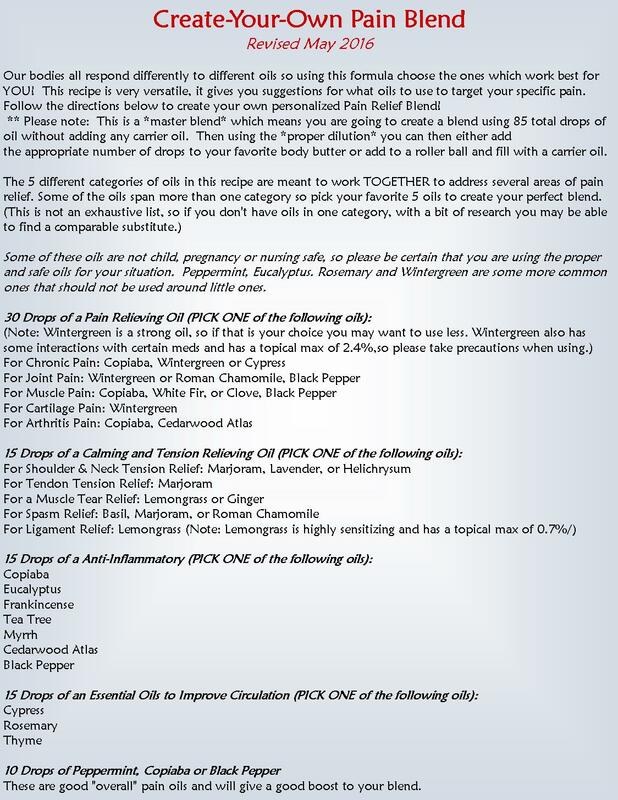 For more essential oil and pain information, you might also enjoy browsing through a search on PubMed (like THIS ONE) or the wonderful book, The Complete Aromatherapy & Essential Oils Handbook for Everyday Wellness. Rub the lotion bar stick over sore and achy muscles and joints. Be careful not to get it in your eyes since cayenne pepper can burn. 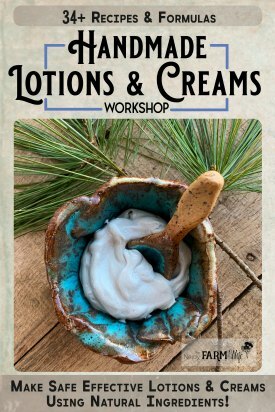 If you enjoy DIY body care projects like this one, let’s keep in touch! 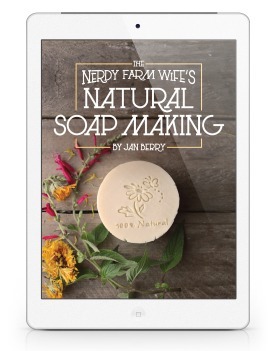 Subscribe HERE to my weekly newsletter and receive my best DIY body care projects, natural soapmaking tutorials and creative ideas for using common flowers and herbs that grow right around you. Tagged aches, arnica, cayenne, ginger, sore muscles. Bookmark the permalink. Jan- After I learned about tei fu oil from an earlier blog post, I purchased it and LOVE it. However, that recipe called for pouring an entire bottle of tei fu into the salve mixture. You didn’t say how much of the tei fu to use for this formula. I have 2 questions – how much would tei fu do you recommend for this formula and, when you use an entire bottle how do you get it out of that tiny little bottle? Do you sit there and shake out every little drop? It seems as if that would take forever! Thank you so much, Jan for creating the arthritis bar that I suggested. It really made my day and I can’t wait to try it. On top of it all, it’s my birthday tomorrow, 1/27 and I feel like I got a Birthday present from you. I’m honored. Thanks again. How much essential oil would you add? Thanks for the great recipe! I’m going to purchase the Tei Fu Oil but how much would you recommend adding to this recipe? Thanks, Jan! To make this recipe with Tei Fu Oil would you just replace some of the herb infused oil? How much would you recommend using? I’m living with my mum who has dementia. That really limits my ability to creating and making things. Is there somewhere I can purchase this bar already made? Also, because of the dementia my mum forgets not to rub her eyes after using some of the cremes and salves with ingredients that might cause burning. Any suggestions? Since she might be able to rub it in her eyes, you’d probably want to avoid anything with cayenne or menthol in it – both would be uncomfortable in her eyes. May I ask where you are finding tei fu oil? Love this idea!!! Wondering how many and what size deodorant bottles does this recipe make? Thanks again for the great idea 😊. My lotion sticks are a orange color just wondering why yours are more beige? I’m having a hard time to find the tei fu oil blend. I have however on hand oil 31, will that work too? If so how much will you recommend to add for this recipe. Otherwise what eo would you recommend and how many drops of each.